Chester Ashley Cockrill Jr., 72, of Little Rock, died Thursday, September 30, 2010. 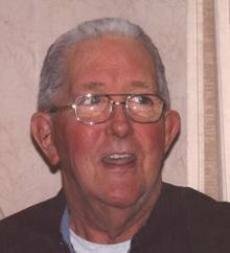 He was born February 7, 1938 to the late Chester Ashley Cockrill and Jane Tillar Rogers Cockrill. He was preceded in death by his sister, Emma Jane Sellers and his nephew, David Ashley Sellers. He is survived by his sister, Frances Cockrill Mayhan and her husband Lynn and their two children, Laura Rogers Mayhan and Lt. Col. David Holmes Mayhan and his wife, Gale and their children, Megan, Ryan and Brady; his brother, Rogers Cockrill and his wife Ellon and their two children, Ashley Cockrill Ernemann and husband Andrew and their son Tillar and Rogers Tillar Cockrill and his wife Jenny; nephew, Robert D. Sellers and his wife Gina; niece, Tammy Sellers Fitzpatrick and her husband Kevin and great-nephews, Ashley Sellers and Sterling Sellers. Ashley or Ash, as many knew him, had a great love for sports, especially the Razorbacks, Travelers and St. Louis Cardinals and was known to take a bet or two. He also loved fishing and had many tales of his bass fishing days on Lake Hamilton, some a little tall. He liked to be called "Ash" or "Junior" and was quite the jokester with his buddies, and his buddies list was pretty long. In near recent times his favorite activity was sitting on his front porch to people watch and talk. But his greatest love by far was his love for family and friends whom he kept close to his heart, and who in turn kept him in theirs. His special gift to all who knew him was his big heart. He will be sorely missed. Ashley attended Hall High School in the late 50's and was a member of Trinity Episcopal Cathedral. In lieu of flowers memorials may be made to Easter Seals Arkansas, 3920 Woodland Heights Rd., Little Rock, Ark. 72212; Trinity Episcopal Cathedral, 310 W. 17th, Little Rock, Ark. 72206 or Centers for Youth and Families, 6601 W. 12th, Little Rock, Ark. 72204. There will be a visitation on Sunday, October 3, 2010 from 3 to 5 p.m. at Ruebel Funeral Home. Funeral services will be held at Trinity Episcopal Cathedral at 11 a.m. on Monday, October 4, 2010. Burial will follow at Roselawn Memorial Park. Arrangements by Ruebel Funeral Home, www.ruebelfuneralhome.com.